Craigslist Phoenix is where people who live in the Phoenix area or have an interest in Phoenix, Arizona can post and see free online classified ads. No, it is a website. The craigslist offices are located in San Francisco. Craig is a real person who started a list of things that were going on in his community. According to the website, craigslist gets more than 20 billion page views per month. Craigslist is now a huge Internet site, with listings for more than 500 cities in 50 countries. 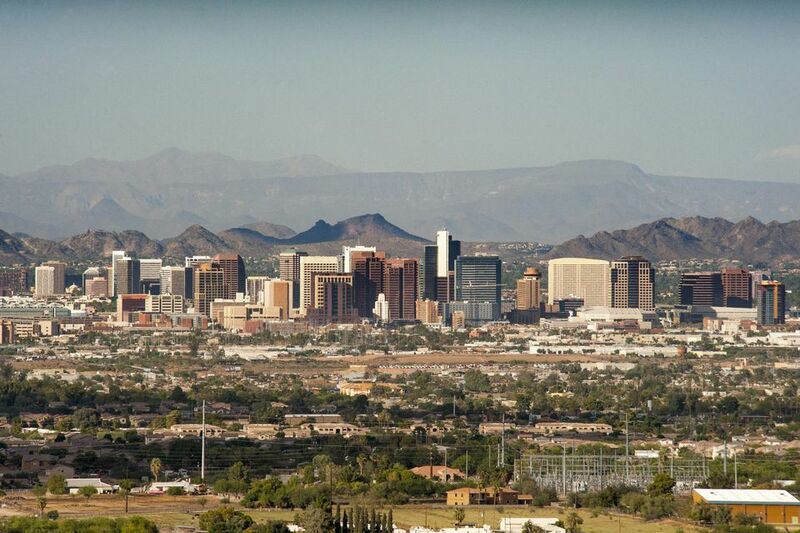 The Phoenix, Arizona area, was added in 2002. Most of the time, nothing. There isn't even a requirement to sign up or register to view the ads. Personal ads, things for sale, garage sales, pets for adoption, apartments and rooms for rent, services offered, lost and found, job postings, discussion forums and more. Basically, if someone has something and someone wants something, you can find it there. I'm sure some people do, but I have no personal experience with that. No. While staffers monitor what gets posted, there is explicit material. There are none. These are just classified ads. They have no personal knowledge of any of the products or services offered through them. Buyer beware. Additionally, while there have been relatively few violent crimes associated with craigslist, you should exercise the same common sense that you would in your other dealings, especially when it comes to agreeing to meet strangers or go to their homes. The Better Business Bureau of Central, Northern & Western Arizona has issued a warning about craigslist ads that falsely claim BBB accreditation and that the seller participates in a phony buyer’s protection program. This supposed program would protect the buyer should they not receive the items for which they paid. The BBB has no such program; there is no such thing as a BBB Protection Program. Buyers are cautioned to check a business' accreditation and rating at the Better Business Bureau website directly. Don't take their word for it because they wrote it in a free classified ad. Do you use Craiglist Phoenix? Many people use craigslist. Some have nothing good to say about it, and some swear by it. I have never answered an ad on Craigslist Phoenix, but I posted one once. It was for some patio furniture I had for sale, and I included a photo. I didn't get any responses. The ad was free, so I had nothing to lose. I like the fact that you always see the most recent ads first. There are thousands of postings every day, though, and I just don't have the time to sift through them. I asked About.com readers to share their experience using Craigslist in Phoenix (2010 - 2014). Had they purchased or sold something using craigslist phoenix classified ads? Did they find a job or meet the love of their life? Did they have a bad experience? I have not verified any of the anecdotes reprinted here. I may have done some minor editing if the response wandered off topic, but I did not correct errors in spelling or grammar. I am no longer accepting submissions on this topic. And now, the opinions! I put up for sale a car hauler and i was looking for a pool handrail. both were flagged and removed yet both were in the correct spots, makes no sense. its funny they can remove a legit item but can't seem to get ride of the scammers who are forever trying to get you or screw up your computer. Just in town for a few days and CL works as well here as anywhere else when it comes to meeting women. i've had the worst experience with a recent remodelling of my house.The "company"[HA HA}advertises on craigs list.... B&T Remodel,roofing,flooring,ect. Bob [name deleted by About.com Phoenix Guide] is a con man! DO NOT HIRE HIM!!! A three week job has taken 3 MONTHS! HE's unlicenced and the work is poor AT BEST. Many of the electronics listed are at retail prices!! (sometimes even above rp) with no warranty of any kind. They flood the site and makes it hard to have a good experience. I attempted to sell sporting equipment and electronics...No calls. I had more luck at my rummage sale. This are the facts. Some people in cl are smoking crack or something. They post items way more expensive than you could get at a local store!! and they flood the site with this overpriced personal adds!! please people lets do something and start banning this cons so we can have a fair cl experience!! do not buy anything in CL phoenix without doing some research about the true value of the item you want to buy. Sold it in 5 days! Sold my motorcycle in 5 days for free. Can't beat that. It is so easy to clean out my house or garage by putting an ad on Craigs list. I have found so many things that we needed at a reasonable price by checking on Craigs list first. You have nothing to lose! Start there first. I posted on Craigs List--and had my email account and phone number hijacked by someone selling automobiles and boats in Texas. I received phone calls from hotels for room reservations and clients wanting to buy cars on my cellular number which were not my posts. When I used the complaint lines to report this the result was they closed my account to me and accused me of being the scammer. There is no customer service line you can try to straighten this out and the scammers send you emails threatening to kick you off Craigs List if you do not respond to their email links to confirm your account. Scared to use Craigs List ever again--and it is still not straightened out. There needs to be an investigation of these people. Tried two times to rent a room in my home. Got an immediate notice that my ad contained unacceptable words, which it did not. Put add up again, all I got were scam responses (14) from some person in different countries in Europe who were "moving to the US. Never saw my ad on Craigslist. Will never use it again. I was a first time user and was almost scammed by a "buyer" He wanted to use money order and I reluctantley agreed. Then he pulled the "I sent the wrong one and it was too much, can you send back the remaining in a new money order?" He was so worried and sounded so genuine that I send him his remaining back. I new then he was trying to scam me. I called him out and he has since never responded. He was using the name Jason Bennett. It is so sad to think that people actually get away with it. I have yet to sell the skis. I have reposted it and my picture keeps disappearing and I have to reload a picture each time. It gets frustrating. I can't understand why some people answer your ad with "Do you still have the such-and-such?" and when you answer "yes" then they never contact you again. What's the point of the first email? I did, however, sell my fridge and dishwasher through Craigslist. I rented a storage locker and sold them from there. I don't want people at my house, you never know what they might do, or come back and do. I'll use Craigslist again. Rented my apt from a Craigslisting, good - bought a printer that was a rip-off, bad. Have sold thousands of dollars in tools and bought same in musical instruments etc. no problems at all. Great Site!!! Just be smart! We bought our bikes and child trailer the same weekend from Craig's list. I think that both the sellers and us thought it was convenient and a good experience. Other people have told of weird experiences, though, like a potential buyer coming to their home wearing a pistol and not an off duty police officer. Daily User of Craigslist Phoenix! I can only say good things about Craigslist and I'm very grateful to have this FREE service to use! I sell 1 to 3 items per week using Craigslist and if I had to pay for each posting, I couldn't afford it! With Craigslist, I'm able to sell items around the house for extra cash & it doesn't cost me anything! You do have to be careful of scammer's of course but all it takes to keep one safe is just using a little common sense! Read the warnings that you see on most every page of Craiglist and follow that advice!!!! It's that simple, really! I had great success with craiglist. I hired my staff from craiglist, the last two roomates I found on craglist. I buy and sell on craigslist all the time. Thankyou Craig for craigslist. A tool and little more, Craigslist requires the user to be smart when conducting transactions. I personally renting a house off of Craigslist and bought a good truck. Both transactions went smoothly, although the truck died as soon as we got it home (water in the fuel tank...) However, don't think that Craigslist is completely unbiased in what they allow on their website. What I mean by this is that Firearms are not allowed on Craigslist, whilst at the same time they have an "adult services" section. my son exchanged some items he had for a bike the kid decided he wanted the bike back and brought several friends with him and made my son give the bike back and didn't give him all the stuff he traded I don't like people coming to my house I don't like them knowing where I live. Have bought and sold other things that went okay. Had another bad encounter with another lady that ripped me off on toys. It sure can be a gamble on what you buy just be careful and check over what you buy very carefully. As I said I have also purchased items I was very pleased with and at a good price. Use caution and listen to your gut instinct and always take someone else with you or have someone home besides yourself when doing transitions. I've never had a problem using Craigslist but I lately have been nervous about having someone come to my home, given that I'm a woman. So I either go to their place or meet in a neutral location. Also, I tell someone where I'm going and who I'm meeting. Have sold numerous items for a fair price on Craiglist. All the people I have dealt with have been very nice, sweet people! None of the horror stories you hear about! Rented my apartment thru CraigsList Phoenix, got the furniture, bought a computer for my son. It's a great tool; my entire family uses it. Thanks!! For some time now, a fellow from CA has been trying to sell pianos by appearing to be from somewhere in the Valley. He uses bait-and-switch tactics, putting up a listing for a low price then trying to get you interested in something high priced. He cleverly implies untruths, if not making outright lies. He used to list his phone number, but we learned to recognize it or did a reverse lookup online. He now insists that people must email him with their phone number or he will not respond. If he'd been honest and said he was from CA, had pianos he'd be glad to deliver to the Valley, that would be one thing. But when he starts out with a lie--giving the location as in the Phoenix area, we can not trust anything else he might say. He's also not a legitimate dealer, just a salesman. I've used the PHoenix Craigs list to purchase two items. One was a total sham, a total misrepresentation of what was really being sold, the second went ok. I also sold a months rental on our RV in Apache Junction last February to a couple from Minnesota. Worked our perfectly. But have to be really alert on items being sold. Lots of con artists out there. Three years worth of selling items, plus a coule of purchases via Craig's List - All has been positive. Overall - be wise, take no risks and have someone else home for large ticket items. I've always said that you can find whatever you are looking for on Craigs List! I found my apartment, where I have been for four years, my bicycle, and my cats. I would recommend Craigs List, but also send out a buyer beware. I had a very good experience selling a pickup truck. It was only listed for a few days & the first person to call about it came and paid cash for it. Since moving to the valley form Oregon we have practicaly furnished our entire house from Craig's List. The dining set, patio furniture, Jeep, jet ski, Yard decor,living room sectional have all been C.L. items. I have even made a friend from an item I sold! Craig's List ia a first stop for us when searching for anything. The folks we've met have been very nice and all transactions have gone smoothly. I highly endorse this useful tool, but I do abide by their cautions so as not to have any issues. Page 1: What is Craigslist Phoenix?